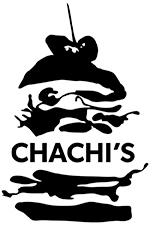 Chachi's Caters / find your location & catering form below. #230, 100 Anderson Rd. S.E. DEERFOOT CITY - NOW OPEN! WOODGROVE CENTRE - NOW OPEN! COQUITLAM CENTRE - NOW OPEN!